An inflection point is a point at which the curvature of a curve changes direction, that is, the curve changes from being concave (concave downward) to convex (concave upward), or vice versa. What does this have to do with betting? We speak about ‘Inflection Point graphs’ in our HDAFU Profit/Loss simulations because these graphs have turning points. Turning points are points at which a significant change occurs. In layman’s language – Turning points are the points in the ‘inflection point graphs’ where profits turn to losses or, where losses turn to profits. For the mathematicians amongst you, we use the term ‘turning point’ although the academically correct mathematical expression would be ‘maximum’ and ‘minimum’. However, ‘maximum’ and ‘minimum’ in normal language signifies ‘best’ and ‘worst’ but turning points in a curve have nothing to do with any judgement of being ‘good’ or ‘bad’. If you have ever calculated your own odds you will certainly have noticed that bookmaker prices often do not show the ‘true’ picture. In other words, their odds seldom adhere to mathematically calculated values (the statistically expected values). Is That Really True? Can You Prove That? What you can see in the above graph is that if one curve rises, e.g. 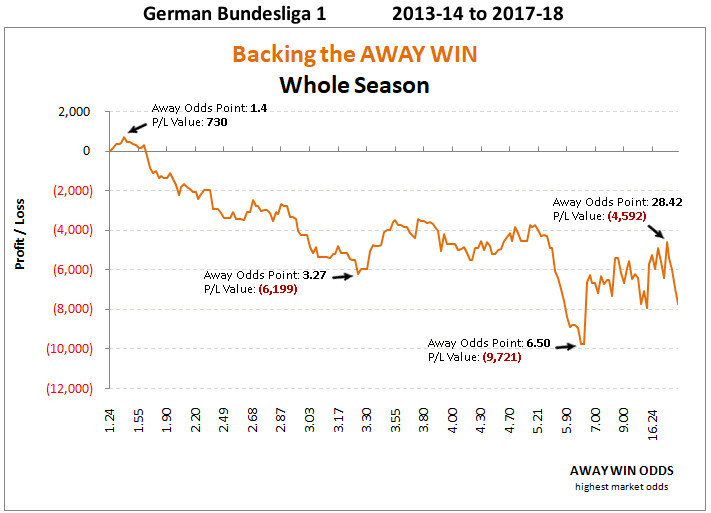 betting on the away win if the home odds are between 1.7 and 2.15 (orange curve), then another curve falls. In this example, betting on the draw (brown curve) produces a loss for the bettor and hence, a profit for the bookmakers. What is most revealing in the above graph is the red curve. 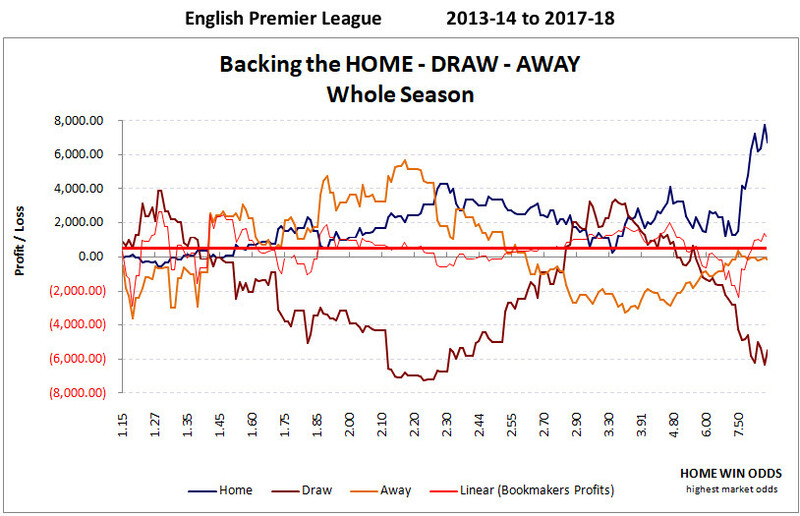 It shows how the bookmakers profits varies depending on the home odds, but the most interesting part is the straight line, the red trendline. It is positive for all odds and perpendicular. The interpretation of this is that for the bookmakers it doesn’t matter in which cluster a particular match is in (in the example, home odds), their odds guarantee them the same constant profit across the whole spread. A bookmaker’s aim is to make a profit and they price their odds to ensure that sufficient action is taking place on both sides of a bet, with enough profit retained whatever the outcome. In addition, bookmaker betting odds are often adjusted according to public opinion to guard against a disproportionately large amount of money being placed on just one side of a bet. How can the Bettor Make Use of This Knowledge? The bettor can take advantage of the knowledge that each betting market contains certain odds clusters that are regularly under-priced, whilst other odds clusters are habitually over-priced. But attention, please! These under- and over-priced clusters are different from league to league. Bookmakers take into account gamblers’ preferences and these vary depending on the cultural background (e.g. risk-aversion) of the locals. This is perhaps because local bettors are the majority takers for any league bookmakers, so bookmakers take local tastes into account. It is obvious that, for example, Italians will be betting primarily on Italian matches; Spanish people on Spanish matches, and so on. However, please be aware that the EPL, the most prominent league in the world, naturally has a huge amount of supporters worldwide. This makes the EPL the most unreliable league (system betting-wise) in terms of its odds. Although odds patterns can be spotted easily, it is always a gamble whether or not they will be returning a profit the forthcoming year. Nevertheless, for this article, we will use the EPL as an example. Profit turning points can be easily spotted in the Inflection Point tabs of the HDAFU Simulation Tables using visualisations (see example below) in the form of Profit/Loss curves based on five seasons’ data within these tables. For example, the EPL: Between 2013-18, if you had gambled unemotionally and systematically on all English Premier League matches to be away wins (at the highest bookmaker odds) and placed a constant stake of 100 units per fixture, then at the end of the fifth season, you would not have seen a large change in your bank: -125 units after 1,900 bets. Huge losses would have been incurred, had you backed all of the away teams to win and limited your betting to the zone of odds between 2.31 and 4.53. Within this zone your losses would have totalled -9,189 units (3,714 plus 5,475). However, if your strategy had been based on away wins at odds from 1.68 and up to 2.31, after five seasons your profit would have been 3,202 units (7,714 minus 512). That’s quite a difference, isn’t it? Just as a side note… Can you see yourself betting on an EPL match targeting odds between 2.3 and 4.5 when backing the away win? The above screenshot shows the Profit/Loss curve for the EPL if back bets on the away win were placed on all 1,900 matches between 17/08/2013 and 13/05/2018 (at 100 unit stakes). You can see from the graph that the first turning point is located at 2.31 on the ‘away odds’ axis. At this point, the P/L curve reaches a peak of 3,714 units profit before starting to fall again. The decrease in profits continues until away odds of 4,35 are reached (P/L value: – 5,475 units), where the curve turns for a spell but remains negative until away odds of 9.5 are reached. Then it experiences a large jump before falling again. You can see at a glance that both graphs are very different. Whilst the EPL shows a rising curve (profits) until odds of 2.31 the Bundesliga P/L curve starts to drop straight away from odds of 1.4. This indicates that the bettors on the Bundesliga are probably much more risk-averse than EPL bettors and it seems that they prefer betting on favourites (lower odds). Using this mentality bookmakers can reduce their odds odds in this group to optimise their profits and hence, the draw odds and/or home odds are likely to be increased. Once you start working with inflection point graphs you will not only see the various profit /loss curves (whole season, 1st half and 2nd half) and start recognising patterns but you will be also amazed to learn about the different mentalities of bettors in different countries. Notes: Adjust the picture quality at the bottom of the screen above by clicking on the ⚙ button (to the left of the YouTube logo), then click on ‘Quality’ and choose a higher resolution as desired. Go to full screen mode by clicking on the box symbol (to the right of the YouTube logo). Do you recognise your betting patterns within the most common odds clusters; those which show a falling Profit/Loss curve? (For example, betting on odds between 2.3 and 4.5 when backing an away win in the EPL). If so, perhaps reconsider your strategy and avoid the odds used by the bookmakers to make their profits. Of course, no matter how hard you try, betting in the zones where bookmakers habitually reduce prices (odds) is asking for long-term losses. It is very rare for people to succeed in any walk of life by swimming against a strong current and you can safely assume that the bookmakers know their job and have for centuries been making a living from manipulating figures. Swim along with them. ‘Play’ the market the same way as they do. Start looking at strategies which are not in conflict with the market, but in rhythm with it. Customs and habits of people vary from country to country. Every nation has different culture or cultures. Surely everybody has noticed regional differences expressed in tangible goods such as food or housing. However, these differences extend into how people think and act. Unfortunately, differences in betting patterns and the subsequent reaction of bookmakers when setting their odds cannot be spotted without taking a mathematical approach. Customer habits, especially in the betting market, remain well hidden from the bettor. Whichever league you prefer betting on, identify the odds clusters which are utilised by the bookmakers to turn their profits – and then work around those clusters. Concentrate on developing your personal betting strategy by taking the market rules into consideration. Using the HDAFU simulation tables and finding the various turning points will provide you with the need knowledge of odds clusters you need to produce a long-term profit when backing. If you already use our Value Bet Detector for calculating odds for individual matches then the knowledge of profitable odds clusters will help you to pick matches which are worthwhile re-calculating. Thanks for a great site, the articles are really useful and i’ve learnt a lot on betting theory from over the past few weeks. While reading through this page, i noticed that in the “How to Use the Knowledge” section, number five mentioned your value bet detector. Do you think it’s necessary to purchase and use the value bet detector in addition to HDAFU tables? if you are into system betting and wish to use the HDAFU Tables for developing a profitable portfolio of bets, then no, you won’t need the Value Calculator. However, if you a ‘Value Bettor’ meaning that you prefer to calculate individual matches and place individual bets, then you will probably benefit from using the Value Calculator in conjunction with the HDAFU Tables to cross-check profitable clusters when you have calculated your 1×2 bets. These are two totally different approaches of finding an edge. i have a questions to your Inflection Points Graphs. i have seen that you use Graphs helper for that. There i can see that u have built cluster. starts with 1<=1,18 then 1,18<=1,20 then 1,20<=1,22 and so on..
so my question for that is did you built it arbitrary? or why do you use this selection? If you take all 1,900 games and group them into 200 percentiles then you’ll come up with the data in the ‘IP’s by Odds’ tab you’re referring to. Sorry, I’m not going to give away the formulas or any more explanations on the mechanics of the tables. It is already hugely time consuming to explain what the tables do and how they can be utilised for identifying profitable betting systems but please don’t expect us to give away the secrets how we build them. Please ask in the comment section of this article only questions that are connected to the Inflection Point graphs. Unrelated questions… please try to find an article (using the search function on the top) that is more suitable to your question and if you cannot find any then please use our general FAQ article. Reason for that is to stay on the topic of an article for other readers’ user experience but it is also of crucial importance for us when we brainstorm for topics to write about that we have specific sources to look for questions to address with targeted articles. Are you new winter league tables ready for purchase? Great. I read this article this morning and then checked the shop and saw the tables had their dates updated so thought I’d double check before I went ahead and purchased. Am keen to get my analysis started! Is it just one workbook now or do we get a whole season sheet and a 1st and 2nd half one also? I just noticed that Czech republic and Croatia still have their dates as 2012 – 2017. Are those ready? As the Czech tables are one that I would be purchasing. I’ve just sent download link to our 2012-17 EPL Table show table, which we have converted to the new format, just to give new and existing customers a taste of what to expect. Of course, we will be populating Soccerwidow.com with updated User Guides and How To articles over the course of the next few weeks, but as you are already familiar with the filtering process, I am sure you will soon pick up on the new method. We would be very interested to hear any feedback on the new style table once you’ve had a chance to look at it. The HDAFU Tables are now a new style Excel workbook, with everything fully automated. All three scenarios (whole of season, 1st half, 2nd half) are now in one file. And no more time wasted filtering and amending formulas manually, one-by-one – it’s all touch of a button stuff now. In addition to an odds analysis, we are now also providing inflection point graphs by ‘home odds divided by away odds’ quotient. Because the relationship between the home and away odds remains very similar throughout the ante post market (whatever the price changes on either side of the equation may be), this has become our preferred method of filtering for systems. Why? Because it then doesn’t matter when you analyse a match for possible bet inclusion – this also means that you can safely place the bet at any time, rather than the previous ideal of within the final hour before kick-off. Regarding you other question… Czech Republic and Croatia… They are discontinued for the time being of the simple fact that we don’t have the data ready for them and, writing and publishing an updated User Guide, explanatory videos and How To articles will take the whole month of July, if not even longer. Sorry but I’m sure that you will find plenty of value in the 22 available winter leagues. By the way, the available summer leagues have also been upgraded to the new format and we’ll send out update emails to all buyers in due course. However, we’ll wait with that until we have published all the supporting articles in order to avoid confusion for those who are in the middle of their summer league campaigns. Thanks for providing the example sheet for the EPL. I really do like the new setup. The last version of the tables was good, but these new ones are definitely a step up. 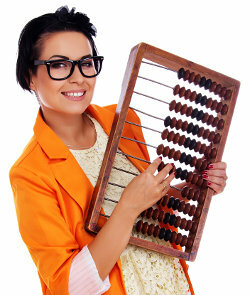 The fact we no longer need to type in formulas and amend figures is a huge time saver. Am I right in saying, that we no longer need to manipulate the data tab now when looking to fine tune the odds range of a system? From playing around with the “system picker” tab, you can start with the inflection points obtained from the graph of choice and then just adjust the odds up or down and see the corresponding change to the profit figure. If that’s the correct approach then that is a huge time saver also. yes, you’ve spotted it right, no need anymore to manipulate the data tab in any way. The ‘system picker’ tab carries out all the calculations automatically that were previously needed to be done manually. Another huge improvement are the graphs on the ‘System Picker’ tab that display the P/L curves over time. That will allow for balancing the systems better and avoid too many systems in the portfolio that are prone to long losing streaks. I’ll explain that all in dedicated articles that will be published during the next few weeks. It’s just that unfortunately, I need for one proper article a good two-three days (especially when including a video). earlier you picked up odds as close to kick off times as possible, mainly 1-2 minutes before kick off. Now you included HO/AO quotient graphs, which allows to bet at any time instead of the last hour before kick off. Did you change the way you picked up odds for 2018-2019 winter HDAFU tables because of this? Or is it the same 1-2 minutes for the majority of odds data sets? the HO/AO quotient allows you to pick the bets at any time; taking away the time restriction to wait until kick-off. With introducing the quotient we have addressed the requests of our clients to provide a solution to avoid of staying awake the whole night if leagues from overseas are playing. The beauty of the HO/AO quotient is that it stays pretty stable during the whole ante-post time. Only within the last hour before kick-off it may slightly change but very often still remains within the chosen cluster. The best time to place bets… that’s going to be an extended article. Generally speaking… Home and favourite prices are on the whole far shorter at close of the market than two days before, or even two hours before. Prices fall as the weight of money increases in volume until kick-off. Hi Soccerwidow, what reason led you to create HDAFU table for very corrupt Romanian football league? For analysing Profit/Loss curves and finding profitable odds clusters it doesn’t matter if a league is considered of being corrupt or not. The HDAFU tables have not been developed for predicting the most likely outcome of a match but for providing a tool to system bettors to be able to identify profitable clusters. So lets say im currently in the 14-15 Season having the Profit/loss Graph of the previous 5 seasons. Would your really choose the below 1.49 odds since the curve is pretty much jumping around 0. wouldnt the 3.49- ~4 be better? Apart from that, wouldnt i be able to choose the Matches within the inflection points and not bet on the 1×2 but the corresponding AHC around the 50% Probability. Instead of Picking the 7.50 away win against ManU id take the +1.25 AHC or instead of the 1.20 Home win for Chelsea id take the -1.5 AHC. Maybe variance could be kept low this was? In response to your final point, although the inflection points change year in, year out, it is often the same bet type which dominates a particular league, sometimes for many seasons in a row. I don’t think it’s chance that home wins are dominant in the American MLS, or away wins in the Japanese J-League, both of which have been the case for several consecutive seasons now. Consistent trends such as these are also present in almost every league we have looked at. By filtering the data set you should end up with a targetted set of games, carrying odds usually well in excess of the zero odds for that bet type in that league. In our User Guide article, you will see that zero odds for the chosen bet type reduced from 3.804 for the league in general to just 3.006 for the filtered set. The inflection point odds there were between 3.33 and 3.63. The benefit received from odds of 3.006 at a stake of one unit is 2.01 (rounded up); from 3.33 it is 2.33; from 3.63 it is 2.63. The inflection points odds therefore range from 15.92% to 30.85% above the benefit of the zero odds, and there is only a small chance that a hit rate variance in excess of 30% within our chosen odds range will strike the system down. Five seasons’ statistics are enough for a single league. In the EPL, for example, this equates to 1,900 individual matches. Here, we are dealing with recent history, which is more relevant to the season being played out at the time. 10,000 matches would represent more than 26 seasons, which is far too unwieldy a list when looking to forecast results that are going to happen tomorrow. The data set is by far the most important thing to get right when analysing past performance in a league. I hope this is of some small assistance. Yes, thanks for pointing this out. It allows me to remind everyone that no matter what your homework reveals about a forthcoming season, everything must be recalibrated at the end of that season. Its statistics become the first year back and the old fifth year back is discarded from the analysis, so that you only ever calculate using the last five seasons’ data. This also hammers home the point that some systems will fail in some of the leagues you choose. But if you have a large enough portfolio of potential bets in a season (we are talking at least 500 but preferably more), then the law of large numbers will help the accuracy of your statistical analyses. Losing systems should then be supported by winning ones, with enough profitable systems to guarantee an overall profit. In the end, it becomes just a numbers game where accuracy of the historical data used in your analyses is paramount to success. Is it not possible we may not find any profitable infliction points in the table eg A league over 5 years? Is it possible any profitability has been created by chance and may not continue? Yes, it is possible that some leagues do not show clear inflection points. How bookmakers structure their odds (prices of bets) depends on the market (demand from the bettors). This varies from country to country as well as from league to league. To your second question… no, the curves have not been created by chance. The inflection points identified in this article are based around five full seasons of data. If each of the five seasons produces profit in the chosen inflection point cluster then ‘value’ is inherent in that particular group of matches. With system betting such as this, we look for the one cluster group in each league with the largest profitability and if it shows profit in all five seasons then it is paper tested for inclusion in the portfolio. I hope this answers your question and thanks for taking the trouble to write. I have a question about this in combination with value betting. Once we have defined inflection points for home wins in a league, is it not a sound strategy to only bet on home games in a profitable oddscluster, on the condition that the odds have value as well? Or do the inflection points solely rely on the complete dataset? I.e. all home wins? I guess this is (maybe not so advanced) maths, I am really curious about your opinion on the matter. Many thanks for your query. Yes, the original article was based on average odds but the HDAFU tables are always based on the highest bookmaker odds. Right now we are converting all of the HDAFU tables to highest odds at point of kick-off, which is the basis for the current batch of summer league simulations. The winter leagues will also be based on highest odds at the end of the ante post market when they are reissued in May/June, when the major European leagues conclude. First of all, this is a very useful site and congrat for the tables!!! I tried to understand the calculations, but I have a problem. 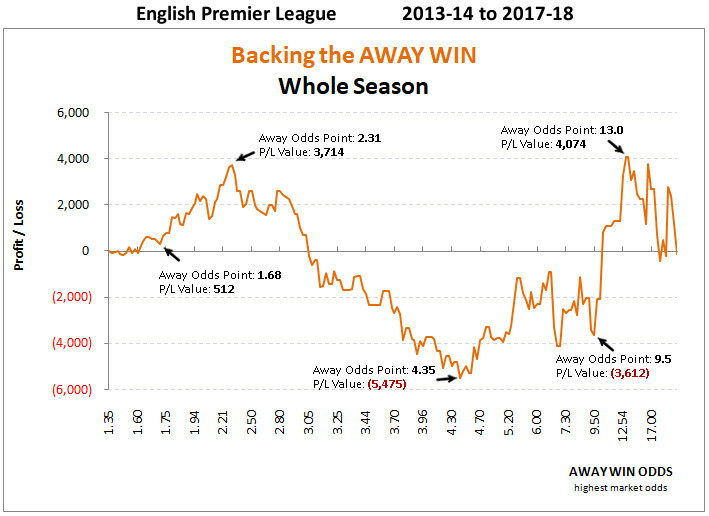 In the “inflection point” article you wrote that if we had gambled unemotionally and systematically on all English Premier League matches to be home wins (at average bookmaker odds) and placed a constant stake of 100 units per fixture, then at the end of the fifth season (2009-14), our losses would have accumulated to -3,157 units. In the other article, which shows some screenshots from the HDAFU tables, there is a screenshot which shows the “Backing home team to win” (by team at home) in the English Premier League from 2009 to 2014 seasons, the total profit is +7395 units. I don’t understand the difference of the total unit numbers.